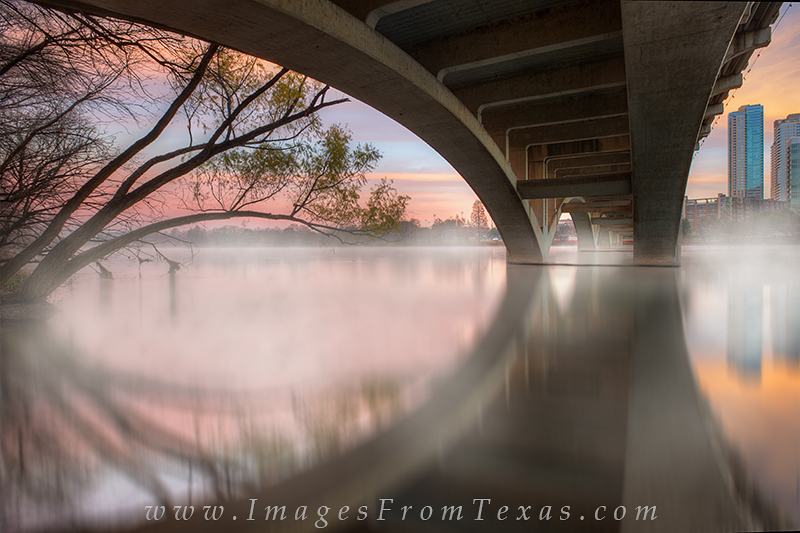 From just off the hike and bike trail of Zilker Park andunderneath Lamar Bridge that crosses Lady Bird Lake, I shot this photograph to show the architecture Austin can offer, and I liked the tree leaning out into the water. Also, the fog rising from Lady Bird created an mystical feel on this cold January morning. On the right, you can see just a few buildings of the downtown skyline. Photo © copyright by Rob Greebon.